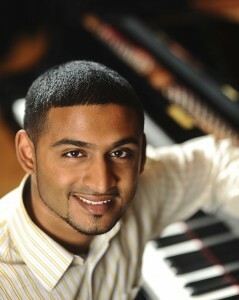 Active as a conductor and keyboard artist in all disciplines of classical music, Jordan de Souza, is currently Assistant Conductor with the Canadian Opera Company (Toronto), Artistic Director of the Ottawa Choral Society, Conductor of The Church of St. Andrew and St. Paul (Montreal), and has been on faculty at McGill University since 2011. Recent performance highlights include Fauré’s Requiem (Montreal Symphony Orchestra), Bizet's Carmen (Saskatoon Opera), a Gala Concert of Verdi and Wagner (Lachine Philharmonic), Bach's St. John and St. Matthew Passions (Ensemble Caprice), and Handel's Giulio Cesare (Opera McGill); Mr. de Souza was also assistant conductor for Puccini’s La bohème, Verdi’s Un ballo in maschera, and Poulenc's Dialogues des Carmélites at the COC. He has been an assistant conductor, vocal coach, and répétiteur with Opera McGill, the Janiec Opera Company (Brevard Music Center), the Centre for Opera Studies in Italy, and Hidden Valley Opera on over 20 opera productions and a guest chorus master for the National Arts Centre Orchestra and the Ottawa Symphony. Mr. de Souza is broadcast regularly on the CBC and through the European Broadcasting Union.